This is not the first time nor it will be the last time*wink..wink* that I have a ” Friendly Chat ” with a political veteran. Was it a predetermined meeting..NO CHANCE..!! 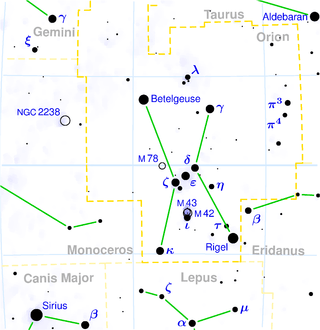 It must be the Constellations or maybe its even predestined by the Almighty Creator,” Praise the Lord ” that his time is now or mine to advertise him. How well do I really know him..? Am I falling for it.? Is there a bargain or a trap waiting to engulf me in flames.? Enough of the doubts and as clear as the deep sea waters this veteran politician seems well mannered with a touch of human ethics and is a class act. Our paths have crossed on numerous occasions and from what I have gathered from his close friends he does pack a dictionary full of good political knowhows in the government machinery. Why now and why did he NOT come into my life when he was on top of his political game ? Is fhis a politicians way of using the Tools available to him to push himself back in the limelight when all seems losts and gone. Anwar Ibrahim is a good example. OooH O.K. forgive my longwindedness I am getting there and the area in question is first a Bidayuh Constituency in the heartland of Serian N19. The total votes stands at 15449 and the YB who has sitting in the chair for as long as I know and that must be nearly 20 years. Secondly who is this person I am advertising.. Here Goes the tremor..(droom droom droom -drum rolls please).. for it to be heard all the way to the PKR hierarchy in Kuala Lumpur as the person in question is a University mate of Anwar Ibrahim. He was in the Faculty of Academy of Arts while Anwar was in Malay Faculty Studies. He remembers Anwar very well when Anwar shown like a Beacon of light in the Speakers corner in Uni and especially so when Anwar spoke on the issues which he Champion,’ The Cause for the Baling Farmers in Kedah. Need you all know more or is he doing the same like our old schoolmates of 1978 who are now putting together a Team to be given the opportunity to help Sarawak towards 2020. There are a number of calibre people around but it seems that your PKR boys/Political scientists we call them here..haha are not doing enough or just plain SELFISH LOOKING AFTER THEIR OWN POSITIONS. He wrote it down his resume for me on the only blank piece of paper at the back of an Old German football odds paper dated 9/1/2009. I will keep it in a my security box just like I did for the PRS original membership lists. Maybe when Pakatan takes over the federal government in future I will tell them how the ROS made the decision and it must not be repeated for the honour of the civil service. The time will come don’t worry as Paul Kadang says as History has a way of appearing when you least expects. He is 62 years of Age like Anwar of course still handsome he says. He is Andrew Nyabe a Bidayuh. He holds a degree and Dip of Education from U.M.(1968-1971). In 1972-1976 He served as a Upper Secondary School Teacher(SMK Binatang & St. Thomas Secondary Kuching. 1977-1987 He served as a Political Secretary under the SNAP allocation. Impressive credentials and why is he not even in the local Bahagian PKR Committee. Maybe his credentials must have feared the people who are running the divisions. They always say Good People never make good in Politics and this could be a Clear Cut of putting his experience in a COLD BOX till someone DIVINE opens it . The same goes for a number of aspiring politicians in PKR they forget that its not them that put them there but the people surrounding them and the voters in the constituency. I remember how one senior PKR politician who said to me that in YB Dominiques greatest chance to be YB he was helped by Anwar who saw where the votes were and how he pushed them to get the votes. So whats so special about Andrew.? He told me Its the struggle of his people (mosts of them say the same thing hik hik hik) which he would like to address in his twilight years and hopes that the GODS will answer his prayers. He is always on the ground in the constituency and this advertisement on him will be like a lottery won by PKR as I will have done him justice and if Anwar does call him for a FRIENDLY CHAT that will be 1 less out of the 6 seats in the Bidayuh hinterland to capture. .Now then you wouldn’t like to let Anwar down do you…?? ?